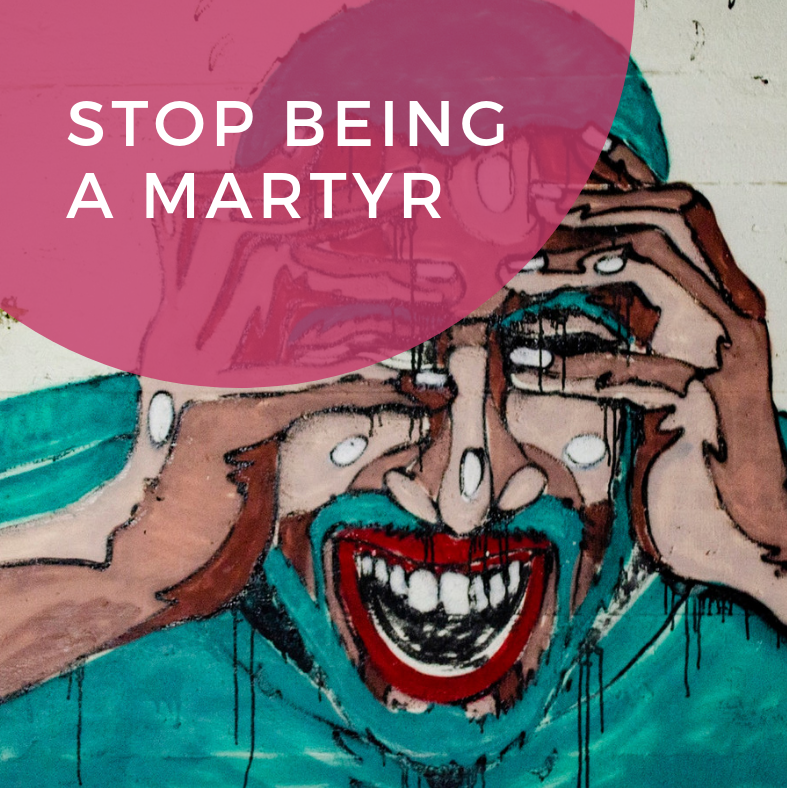 Stop Being a Martyr - The Idea Inc.
Third, yesterday (and last Tuesday of every January) was National Plan A Vacation Day. Storytime: Last week I went to New Orleans for the first time! I had taken off Wednesday, Thursday, and Friday. It was a blast, but I definitely did my “checking in” by deleting emails, making sure that I wasn’t missing important conversations, and just keeping a general watch on slack channels. And by some coincidence, when I got back, I found this on Forbes: “A work martyr is defined by Project: Time Off, as a person who believes it is more important to work long hours over true productivity. The work martyr often won’t take breaks or use vacation time out of fear he or she may be seen as replaceable or undedicated to the job. Project: Time Off’s survey found that roughly 40% of employees desired to be seen as a work martyr by their employer, however, 86% of employees surveyed, believed it was a bad thing to be seen as a work martyr by their families.” I was a work martyr. So, I did my own research, found Project: Time Off, and then promptly planned my next vacation – Southern California here we come! A new health study reveals that vacation has a strong impact on both stress and immune pathways, and can provide short-term improvements in overall well-being. Vacation is not just a tool for avoiding burnout; promoting time off makes it easier to ask employees to log extra hours at critical moments. A majority (72%) of managers agree that encouraging time off makes their employees more willing to put in the long hours when really needed. The nearly half (48%) of Americans who are not using a majority of their vacation for travel are missing out on more than sun and fun. Americans taking all or most of their vacation days to travel—or mega-travelers—report dramatically higher rates of happiness than those using little to none of their time for travel—or homebodies. Alleviating the barriers in the workplace rests on creating a positive vacation culture. Innovation expert Mitch Ditkoff has interviewed 10,000 people over the last 30 years about where they get their best ideas, and less than two percent of them say at work. The vast majority (84%) of managers agree that when employees take time off, they return to work with improved focus and creativity. The landmark Framingham Heart Study–the largest and longest-running study of cardiovascular disease– revealed that men who didn’t take a vacation for several years were 30 percent more likely to have heart attacks compared to men who did take time off. And women who took a vacation only once every six years or less were almost eight times more likely to develop coronary heart disease or have a heart attack compared to women who vacationed at least twice a year. There are 1.9M potential jobs that could be created by Americans taking vacations.